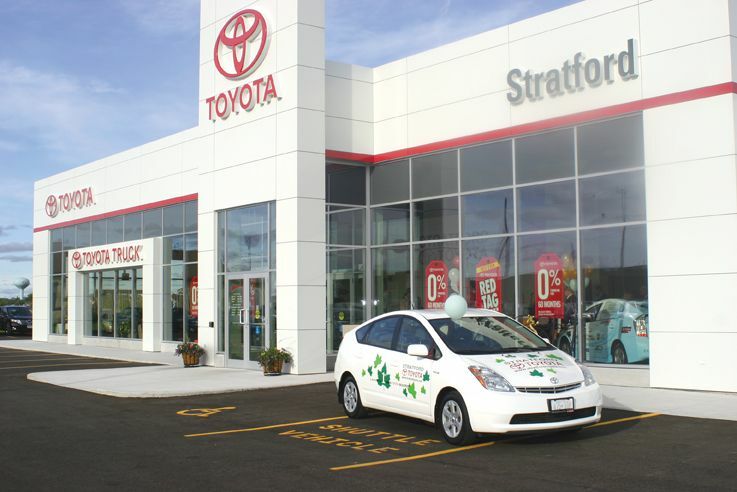 [STRATFORD, ONTARIO] – Registered with the Canada Green Building Council, the Stratford Toyota facility is the first automotive dealership in the country to achieve Gold Certification in the Leadership in Energy and Environmental Design (LEED®) Green Building Rating System. 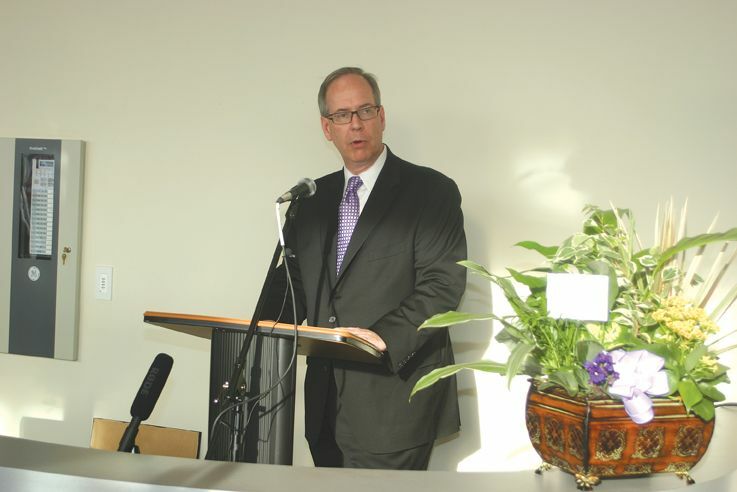 In recognition of their LEED Certification achievement, Stratford Toyota will be presented with a commemorative plaque from Toyota Canada’s Chief Environmental Officer and Managing Director, Stephen Beatty, during their grand opening celebration in recognition of their achievement – setting a new benchmark for automotive dealerships across Canada. 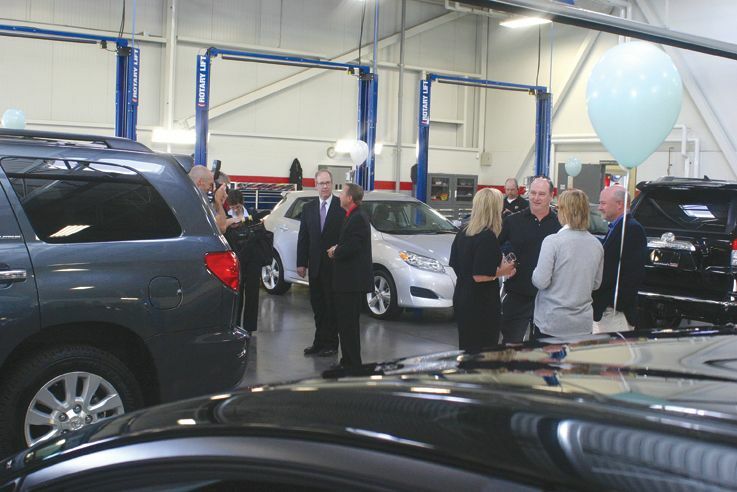 The brand new, $4 million dollar state-of-the-art Toyota dealership at 925 Erie Street in Stratford, Ontario, goes above and beyond to exceed customer expectations, while at the same time reducing its environmental footprint. 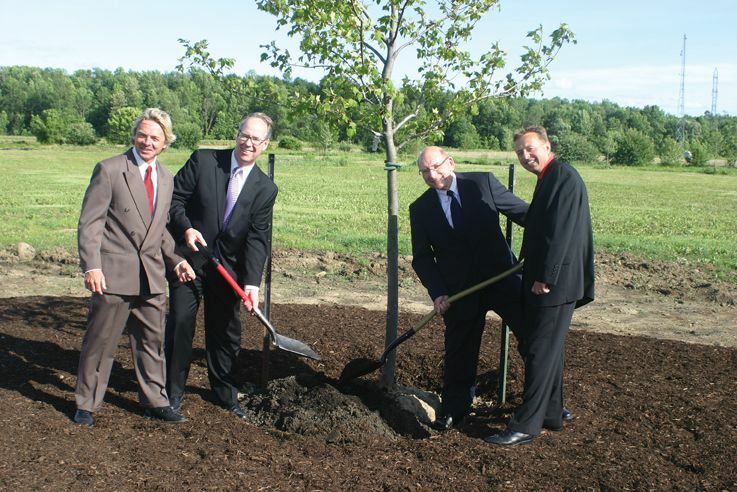 In addition to being the first Toyota dealership in Canada to achieve LEED Certification, it is also the first building in the community of Stratford to receive this distinction. Energy conservation technologies were incorporated into the facility design resulting in a reduction of energy consumption by 37% compared to a typical building of the same size. These technologies include energy efficient lighting in combination with natural lighting, in-floor heating and highly insulated wall panels to retain heat. Installation of a Thermoplastic Polyolefin (TPO) roof (white vinyl type material) repels the suns rays in the summer months and serves to insulate the building during winter months. 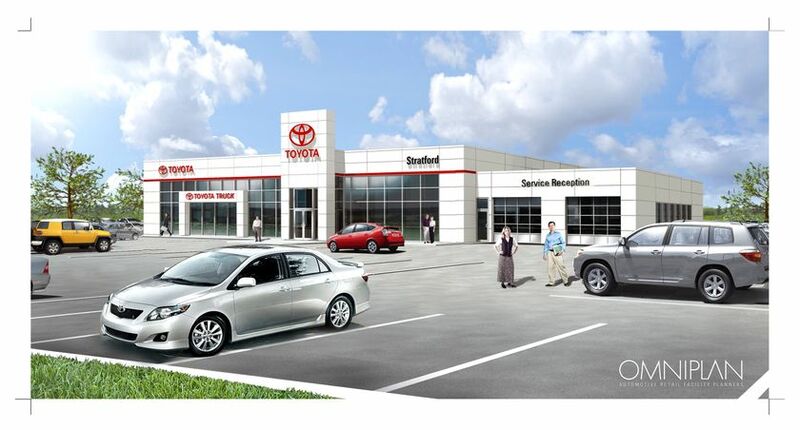 Stratford Toyota, a 26,100 square foot facility which opened to the public in early 2010, is expected to employ 18 staff members. They are committed to providing excellent customer service in new and used vehicle sales, as well as parts and service operations. The new dealership offers its customers a convenient and comfortable experience featuring 4 vehicle service drive-thru bays, which are also a part of the open concept showroom and service reception area. As Toyota strives to lead a transition to sustainable mobility, vehicles such as the Prius Plug-in Hybrid - on display as part of Stratford Toyota’s grand opening celebration - will play an important role. But beyond sustainable mobility alone, Toyota also recognizes the need to achieve harmony between industry and the environment - Canadian Toyota dealerships like Stratford Toyota are part of these efforts. Toyota Canada has also achieved ISO 14001 certification across facilities operating in Canada, diverting 91% of waste from landfill at their head office facility. Toyota Canada has also partnered with like-minded organizations such as Earth Day Canada and Evergreen to advance corporate green initiatives. In addition, Toyota customers will find environmentally responsible Toyota Touch detailing products and services at participating dealerships and a hybrid battery disposal program. 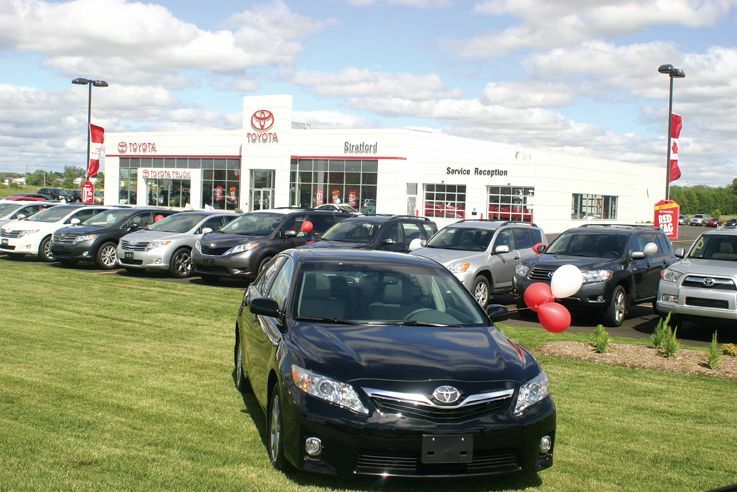 Stratford Toyota offers a wide selection of Toyota vehicles and exceptional customer service. Its service department features factory-trained technicians and Genuine Toyota parts and accessories. 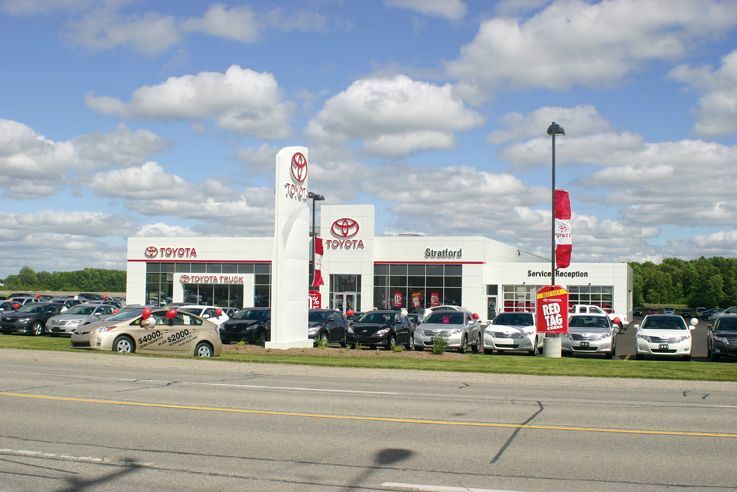 Stratford Toyota has friendly, knowledgeable staff to help customers choose the best vehicle for them - whether it’s a Toyota Prius hybrid, or a dependable work vehicle like the Toyota Tundra that offers more power using less fuel - and to provide top quality service. For more information including Toyota’s other environmental initiatives and a downloadable version of the 2009 Toyota North America Environmental Report please visit toyota.ca. LEED (Leadership in Energy & Environmental Design) is an internationally recognized green building certification system, providing third-party verification that a building or community was designed and built using strategies aimed at improving performance across all the metrics that matter most: energy savings, water efficiency, CO2 emissions reduction, improved indoor environmental quality, and stewardship of resources and sensitivity to their impacts on the environment. Developed by the U.S. Green Building Council (USGBC) and adopted by many building organizations around the world today, LEED provides building owners and operators a concise framework for identifying and implementing practical and measurable green building design, construction, operations and maintenance solutions. 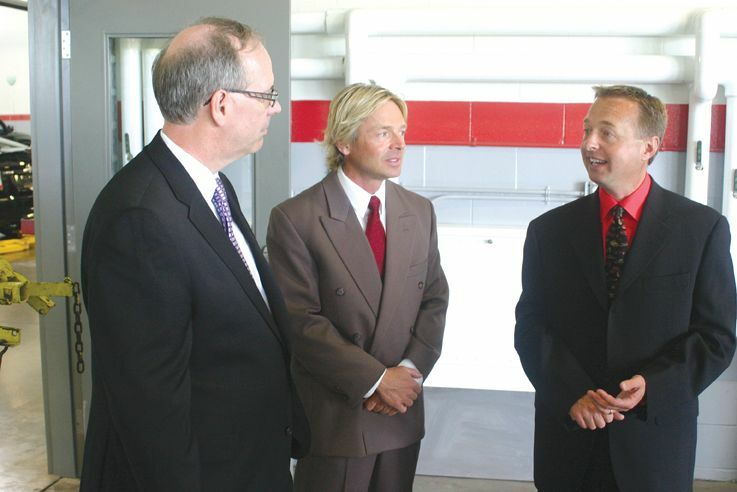 Registered with the Canada Green Building Council, the Stratford Toyota facility is the first automotive dealership in the country to achieve Gold Certification in the Leadership in Energy and Environmental Design (LEED®) Green Building Rating System, setting a new benchmark for automotive dealerships across Canada. 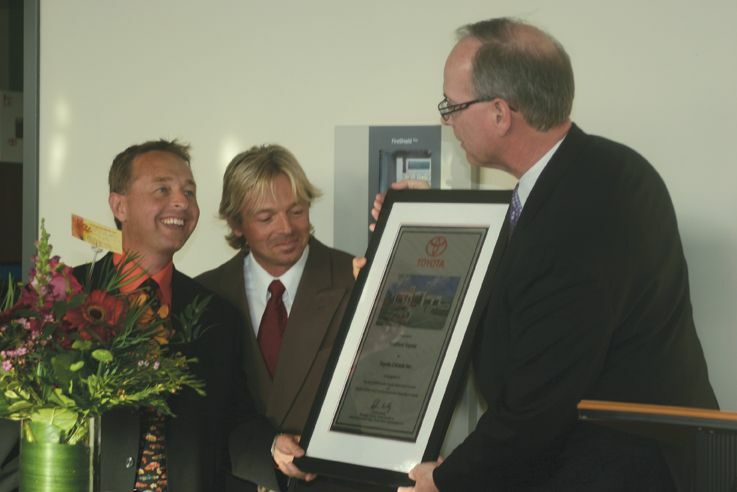 In addition to being the first Toyota dealership in Canada to achieve LEED Certification, it is also the first building in the community of Stratford to receive this distinction.